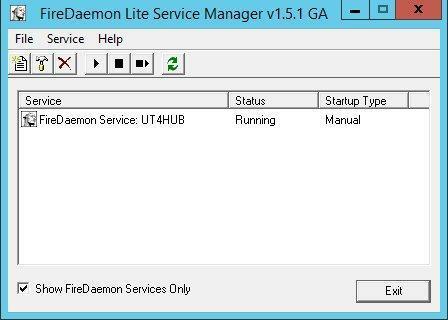 This program, the Lite version is free, allows you to create services in Windows which can then monitor the program you tell it to monitor and restart it when it crashes for example. This is useful in particular also for the UT4 Hub which automatically quits after every 3 hours of uptime when idle. The service will fire it back up when this happens. You can enter parameters as well for the program to monitor and launch it with those settings. You can turn on and off desktop interaction too, so if you dont want to see all the started server instances on your taskbar you would turn it off. I personally tested this with Windows Server 2012 R2 and it works for MPF's HUBs on that Operating System.